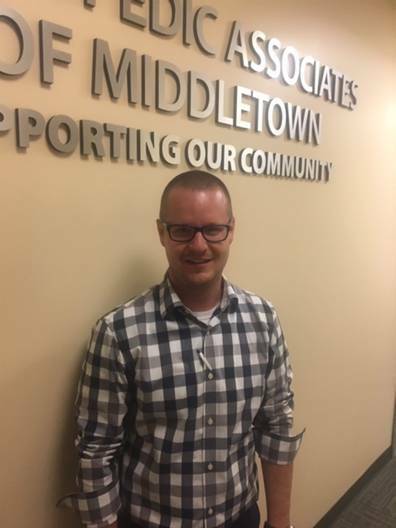 We would like to welcome Christopher German our newest PA. Chris formerly worked at Danbury Orthopedics primarily in general orthopedics and total joints. We are excited that he has joined the OAM team! Welcome Chris! Dr. Hicks made both me and my wife feel very comfortable. We just could never say enough wonderful things about him. Dr. Hicks truly did transform my life! Advanced Treatment from Injuries to Arthritis. A Commitment to Total Care from Head to Toe. Sports Medicine Specialist at OAM Gives a Patient Back Her Passion. Orthopedic Associates of Middletown is pleased to announce the addition of URGENTOrtho services to our Westbrook facility. OAM is pleased to congratulate, Dr. Ryan Naujoks, in receiving his Subspecialty Certification in Hand Surgery. Healthcare is changing and so are we! Join Us In Welcoming Podiatric Surgeon Dr. Adebola T. Adeleke To Orthopedic Associates Of Middletown. A Patient’s Experience. Surgical Skill is Only Half the Story. American Board of Orthopedic Surgeons present Dr. Reardon and Dr. Geist with their 2016 Board Re-Certification Certificate. Middletown Mayor Proclaims Wednesday, June 22nd as Dr. Terry Reardon Day. This August, OAM Welcomes Orthopedic Surgeon and Sports Medicine Specialist Dr. Michael Kuhn. Arthroscopic Surgery: Advanced Orthopedic Care, Getting Patients Back to Doing the Things They Love. Your Injury Is Unique to You. Your Treatment Should Be the Same. OAM Welcomes New Physician Assistant Brian Beltrani, PA-C, ATC. OAM URGENTOrthopedic Care. When you’re Hurt. We’re Here.